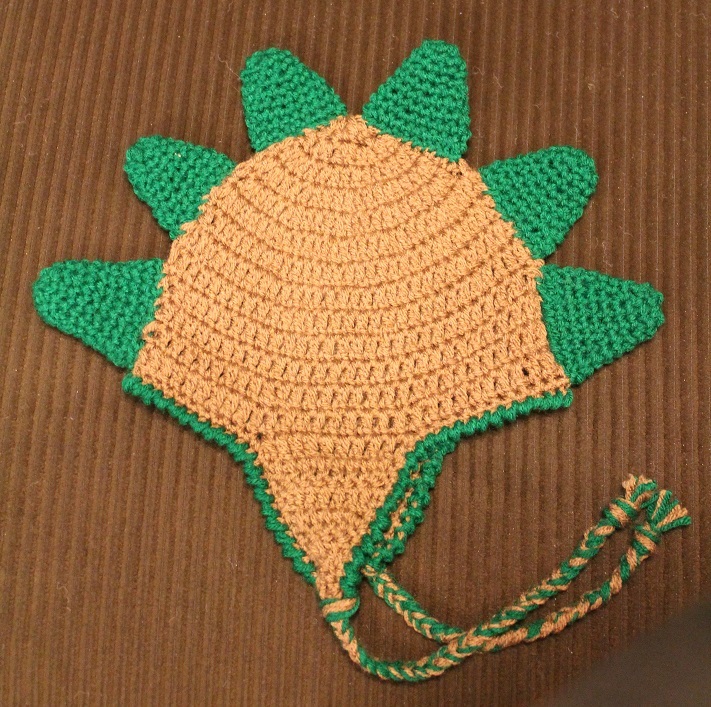 The week before the faire I cranked out 10 hats, including this really cute dinosaur one. It was among the 17 purchased, and by someone who's in my parenting group. So that was fun. Since it didn't have a face it was only $10, even though those dadgum spikes were as tedious as a face to crochet and sew on (I did them during Heroes: Reborn!). 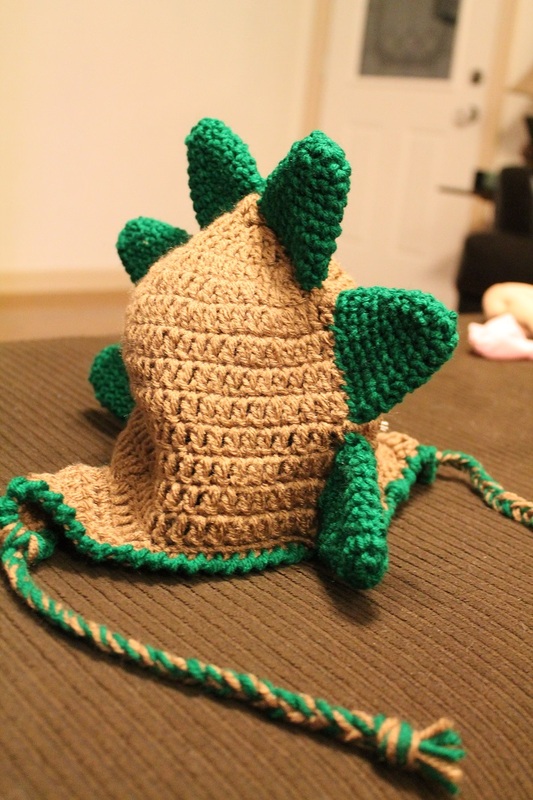 I love how it turned out, and it's even cuter on a kid's head. Someone suggested a pink and purple dino hat ... interesting! I got asked some questions repeatedly yesterday. I should have written them down/done more than just think I would remember them. I know I gave the same spiel a lot (Gran taught me to crochet when I was a teenager, I started making hats once Jane was born, it got out of control because we live in Baton Rouge and she can only wear one hat at a time, etc.). How long does it take you to make one of these? I started paying attention this week, in anticipation of that question. And I would say a straightforward, simple beanie takes about 1.5 hours. Something more complex, like Grumpy Cat or even the dino, could be up to 3 hours. Lambie was even more, and that's one I made for Jane that I don't intend to repeat (at least not for $15!). Can I have one of these for free? Do you make up your own patterns? Not really. I've made up one, which was really just a variation on an established pattern. I can recreate hats with faces just from pictures, because it's just crocheting shapes in the right colors and sewing them on a base hat. (There are a gazillion blog posts for making the perfect sized hat -- once you understand the basics of increasing in the round it's straightforward to make a good double-crochet base hat.) For patterns I recommend Moogly Blog (probably my favorite crochet blog right now), and a search on Pinterest will come up with patterns. I also have used library books to learn new stitches and patterns. Usually the pattern will say whether you can sell the finished product and if you need to cite them as the pattern maker (I attach a handwritten tag to each hat with hat name, yarn content, care instructions and any pattern info like that if needed). Can you teach me to crochet? I could, but I don't do lessons or classes. I just referred people to the library's crochet groups. They're listed in The Source, the library system's monthly newsletter. They even have groups geared to teens, which I think is so cool. YouTube has lots of learn-to-crochet videos, and I'm sure there are other ways to learn too. 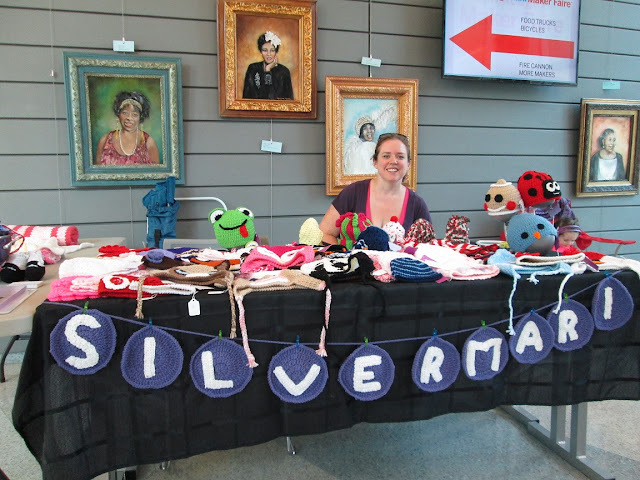 Did I miss a question, or is there something you'd like to know about my crochet craft? Drop me a comment or send me an email. I'd love to hear from you. Please see the Want to Order a Crochet Hat? post for details about how to place a custom crochet order. 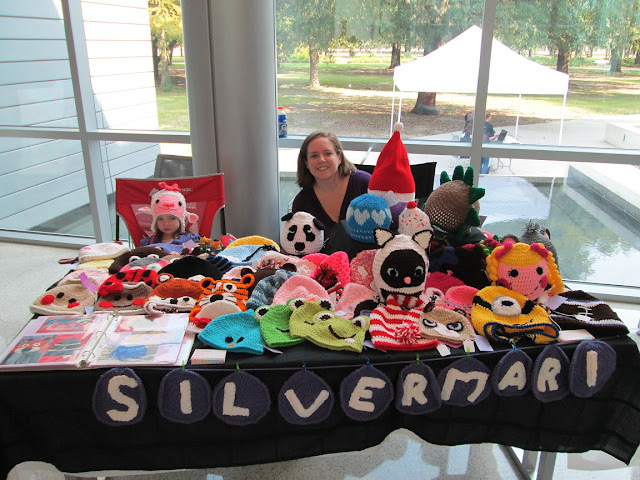 Also, more photos of hats I have made are in my silvermari crochet hats Flickr album. A big storm on Sunday evening fried our wireless router. Our house has old wiring, and I guess our surge protector wasn't up to the job. It's a real pain in the you-know-what to be without wifi. We ordered a new router and it will be here tomorrow evening. AH! In the meantime I'm able to hardwire into our modem, but only on my OLD laptop. My new laptop is thin, sleek, etc. That means it's unable to connect to the internet any way except wifi. AH! Thankfully the old computer still works, albeit slower and still prone to overheating. Maybe being a packrat has its benefits? (Actually I just don't know how to get rid of computers -- I still have the one I used in grad school in a closet here and the one I used in undergrad in a closet at my mom's house.) AH! And might I add ... AH!